Lauren Farms: Lauren Farms: A Part of the "Mississippi Yearning" Tour! Lauren Farms: A Part of the "Mississippi Yearning" Tour! A group of chefs and restaurateurs from all across the United States are expected to tour Lauren Farms Freshwater Prawn farm in Leland, Miss., on Tuesday. Hailing from eleven states and also Canada, the group is traveling across the Delta on a “Mississippi Yearning” tour. The food enthusiasts will travel to Lauren Farms for a day of freshwater prawn education that includes a guided tour of the freshwater prawn hatchery, and a cooking demonstration by chef Dolores Fratesi. Fratesi is excited to meet the guests and spread the word about the freshwater prawn to other markets. “This is such an exciting opportunity for Lauren Farms. I am honored to be included on the “Mississippi Yearning” tour, and honored to have a chance to meet these chefs and fellow ‘foodies’,” Fratesi said. But what excites Fratesi most is an opportunity to educate others on the freshwater prawn. 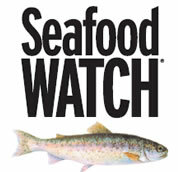 For more information on freshwater prawns, log on to laurenfarms.com.